This is a family oriented musical reality show. This is the First Family Musical reality show in Malayalam Television. The participants of this program are three or more singers of each family. The program aims to link separated joint families throw the bliss of music. 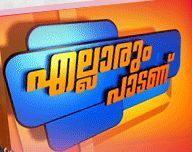 Kairali TV getting through all leading cable tv and dth networks. The specialty of this programme is little child and grand mother both of performs in one stage at same time. A villa Worth Rs.35 Lakhs will be awarded For the First prize. The Judges of the show are the eminent musicians like Mr. Sharath-music director, Mr.K.Raghukumar- music director, and Mrs. S. Soumya- carnatic singer.